Amanda Parisi launched Jarvis & Co. Interiors, a boutique residential design firm located in Chatham, NJ, after honing her own personal style while working under Jamie Drake and Joe Nahem, two of Architectural Digest's Top 100. Under Jamie Drake, at Drake Design Associates (now Drake / Anderson), Amanda fell in love with color, learning how to disperse it throughout an interior to create spaces that capture one’s interest. Under Joe Nahem, at Fox-Nahem Associates, she learned how to use texture to create rooms with multiple layers, coming together to create a complete and cohesive living space. Influenced by her travels, Amanda loves implementing different styles throughout all of her interiors, making her the perfect designer to work with clients who have diverse tastes. She enjoys scouring antique stores and auctions for the perfect pieces, which sit beside custom furniture and upholstery. She prides herself in creating curated and livable spaces that ring true to the style and spirit of each client she designs for. Amanda holds a BS in Economics from Trinity College in Hartford, CT. After graduating, she attended the New York School of Interior Design where she received her MFA in Interior Design. She currently lives with her husband and spends her free time traveling, searching for new furniture pieces, and taking indoor spinning classes! 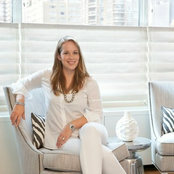 Amanda has designed homes in New York City, Scarsdale, Southampton and Hoboken. She has previously been published in New York Cottages & Gardens. 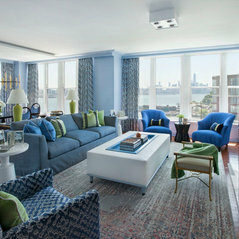 Jarvis & Co. Interiors is currently working on projects in New York City, Chatham, NJ and Naples, FL.